There’s approximately $2 billion in Unclaimed Property that is sitting with various organizations across Ontario that needs to be returned to hard-working Ontarians. $2 Billion would also serve the Ontario budget in a big way now and in years to come. Ontario is the largest jurisdiction in North America without an unclaimed property law to protect consumers. While Ontario was the first Canadian province to pass unclaimed property legislation in 1989 the statute was not proclaimed into force and the legislation was repealed 22 years later in 2011. The 2012 budget announced Ontario’s intention to try again and create an unclaimed property scheme that would mirror that of the US where legislation has been in force for over 50 years. And yet, there has been no follow-up from consultations that occurred in 2013. Why ? We submitted an 8 page document advocating for the rights of Ontario residents for this legislation during consultations in 2013. We and jurisdictions around the world feel pretty passionately that Unclaimed Property is an important aspect of consumer protection that is missing in Ontario. The estimated $2 billion + in unclaimed/lost financial assets for Ontario comes in a variety of forms including unclaimed bank/trust/credit union accounts, insurance policies, share certificates, dividends, unclaimed wages, bonds, pensions and other property types including prepaid funeral deposits and utility deposits etc..
Unclaimed Ontario savings bonds alone total more than $65 Million. The Law Society of Upper Canada (Ontario) has more than $3 Million in unclaimed trust accounts. No one knows what the total of Unclaimed accounts held by Ontario credit unions would total because for the last 20 years, Credit Unions have been waiting for further instructions. Legislation would ensure that any organization in Ontario holding unclaimed or lost deposits or financial assets would transfer them to the Province and a comprehensive database would be available for Ontarians to look for those assets while the Province or a related agency would proactively look for legal owners. Despite the fact that no ones loses track of their assets on purpose and assets generally become lost as a result of a tragic event or forgetfulness, in Ontario there is no law that requires the holders of unclaimed financial assets to look for the asset owners. So no one including the Province is looking for you if your Great Aunt Martha purchased a life insurance policy for you or if your Grandma Shirley opened a credit union account for you when you were born. We would argue that`s not “very Canadian” . Legislation would be a win/win for Ontario residents and the Province of Ontario as unclaimed financial assets are typically utilized by the government or jurisdiction that holds those accumulated assets until claimed. The USA has more than $58 Billion in Unclaimed financial assets being used in this way. Unclaimed assets are sadly becoming a larger part of the revenue for many states including most notably California and New York. While facts are sparse given a lack of legislation across Canada (outside of Alberta and Quebec where legislation has been enacted), there has been an alarming increase in unclaimed financial assets in recent years. Given aging demographics and the digital world in which we live, that increase will probably rise significantly. So why is Canada and Ontario in particular so far behind other jurisdictions like the US, Australia, New Zealand, the UK etc? More importantly, why is a cash strapped Ontario government not following up with Unclaimed Property legislation that they started re-discussing in 2012 ? Does the government of Ontario really have too many other pressing priorities that might be as advantageous as Unclaimed Property Legislation both from a financial and consumer protection perspective ? It’s time for Ontario to catch up and do what is right for Ontario taxpayers/residents and their the Provincial treasury. Have your say during budget consultations with Ontario by linking to the Province of Ontario here We have and we hope you will share this post with others if you agree with the need for Unclaimed Property Legislation in Ontario. This entry was posted in Advocacy, Consumers, Credit Unions, Unclaimed funds and tagged Canada needs legislation, Ont needs legislation, savings bonds, unclaimed funds on February 3, 2016 by Brenda Potter Phelan. I am happy that the Bank of Canada this week, updated their website with the balance of unclaimed or lost bank accounts as at December 2015. Last year, I had to make 5 requests for the updated balance & the related database of individuals with balances owing to them as of December 2014. Only after I involved the CBC who without much hesitation did a program on the problem of Unclaimed financial assets in Canada did the Bank of Canada update the information on their site for the benefit of Canadians. I was thrilled about the CBC program that helped to shine a light on the problem of lost bank accounts and Unclaimed Financial Assets in general. I was also quite relieved when the Bank finally updated their website in late April last year. But while I’m happy about the prompt updating of lost bank account information for 2015; I`m disturbed by the increase again this year in the value of lost bank accounts last year. Another $59 Million in lost bank accounts for 2015, making the overall balance owing to Canadians some $626 Million. That’s an increase of 10.2% which is similar to last year when $56 Million was added to the unclaimed bank account balance. Considering the population of Canada is some 36 million; the increase is substantial as it the total balance of $626 Million in lost bank accounts. Claimed amounts are dismal at $10-$11 Million for each of the last 2 years. Unclaimed Property Legislation for Canadians is an important aspect of consumer protection that’s missing for the majority of Canadians and advocacy for such legislation is a lonely battle despite the sheer magnitude of an estimated $6 – $7 Billion in Unclaimed assets in Canada. The Bank of Canada holds approximately $1 Billion between the $626 Million in Unclaimed or lost bank accounts and another $500 Million (+) in Unclaimed Canada Savings Bonds. However, there’s an estimated $5 – $6 Billion or so in other Unclaimed financial assets that Canadians have misplaced like credit union accounts, trust accounts, insurance claims, pension funds, education funds, prepaid funeral deposits, savings bonds, shares/dividends etc. It’s time Canada caught up to the US and the majority of other developed nations and provided citizens and taxpayers of Canada consumer protection in the form of Unclaimed Property Legislation. The US has had such legislation in place for more than 50+ years. Unclaimed Property legislation would ensure that all unclaimed financial assets are centrally held, reported on and most importantly, owners would have a better chance of being found. No one loses track of their hard-earned financial assets on purpose. It’s generally the result of a tragic event or forgetfulness. It would ease the burden on executors that look for financial assets when an individual passes along. Reuniting legal owners with their financial assets would generate economic action. In cases where owners can not be found, unclaimed financial assets would supplement government treasuries that are cash strapped. It’s a win/win for Consumers and Government to move forward with legislation. So why is Canada so far behind. This entry was posted in Advocacy, Bank of Canada, Consumers, Unclaimed funds and tagged Bank of Canada, Canada needs legislation, Ont needs legislation, unclaimed funds on February 3, 2016 by Brenda Potter Phelan. No so much. Not so much at all. Mortgage or Credit Insurance is just not the same as life Insurance. There are BIG key differences between mortgage or credit insurance and life insurance. Beneficiary choice. With mortgage insurance, the lender is the automatic beneficiary; not anyone you might choose like a spouse or a family member. Personal circumstances can and do vary when an individual dies. Paying off the mortgage may or may not be the best option; cash might be more important. Higher Cost/Declining Benefit: Mortgage insurance offers a declining amount of coverage (in line with your mortgage) for a typically higher cost that one could obtain level life insurance for. There are no discounts for being a non-smoker or being healthy as everyone pays the same price. Prices do also vary for mortgage insurance but there is less transparency in the marketplace so it’s hard to compare pricing. Portability:Mortgage insurance is tied to your mortgage and is therefore not transferable if you change lenders. Higher rates may apply when you start over with another lender. With life insurance there would be no need to start over. Life insurance offers stable & consistent coverage and often renewable/convertible options maybe offered on a term policy that will allow one to convert to a permanent policy without a medical exam. These differences are significantly significant. and too significant to be left to chance. The real key takeaway is that mortgage/credit insurance benefits creditors or lenders first; personal life insurance benefits individuals better. This entry was posted in Consumers, Insurance and tagged Emergency Preparedness, estate planning, Insurance on November 26, 2015 by Brenda Potter Phelan. The goal of estate planning is to leave what you have to whom you want to.at the least possible cost in terms of administration and taxes. But, no one can successfully predict how long they will live; illness and accidents can happen at any age & when least expected. That’s why estate planning is important no matter the age (or stage). Too many families are caught off-guard and found unprepared when an incapacity or death happens and proper estate plans are not in place. Estate planning is also not just for the wealthy; it’s important that proper estate planning & instructions be discussed and documented no matter the state of wealth. Indeed, estate planning can often mean more to families with modest wealth, because they can afford to lose the least. I think there are profound lessons worth passing along from the estates of 4 very famous young stars who did not leave complete estate plans in place. Hopefully, others young or old, rich or not so rich can learn from these mistakes. 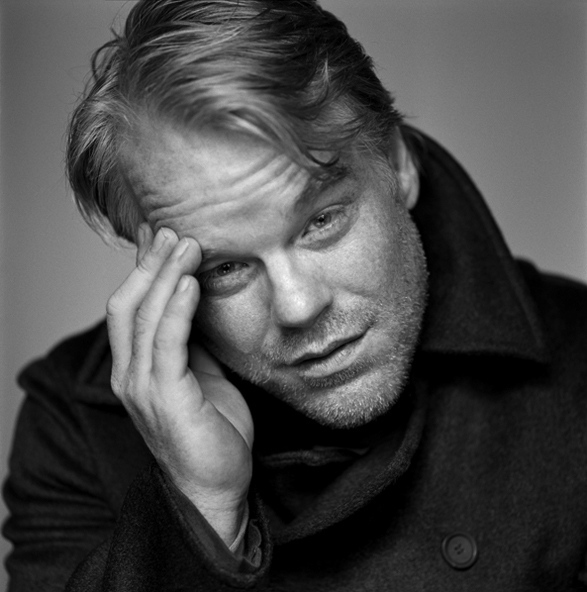 A much-loved, versatile & celebrated actor, director, and producer of film and theater who won a best actor Oscar for his role in “Capote” in 2006. He died of combined drug intoxication. He was 47 years young. His entire estate was left to his partner who was the mother of his 3 children,but he failed to create trusts for his children. Because his partner was not his wife, the estate did not transfer on a tax-free basis. By not setting up a revocable trust, his estate was subject to probate which caused further delays and costs and made his family financial situation, very public. The controversial yet undeniably talented British singer and songwriter known for her deep vocals and eclectic musical taste, died of accidental alcohol poisoning . She was 27 years young. She died “intestate” meaning that she did not leave a valid will. Her estate passed by law to her “natural heirs” being her divorced parents. Her ex-husband who she remained very close to until her death; received nothing. Her father was appointed as administrator and incurred considerable personal and financial burden in settling Amy’s complicated estate which included 6 music companies. The resulting cost to settle bills, debts and taxes ate up the majority of the estate estimated at $7 Million. The brilliant Australian actor and director died of accidental overdose of prescription drugs. He had just finished filming his performance as the Joker in The Dark Knight for which he won many awards after his death including an Academy award. He was 28 years young. This young “heart throb” was best known as the star of the Fast & Furious movies and tragically (and ironically) died in a high-speed car accident that lead to a fiery car crash. He left a 15-year-old daughter and a tangled mess of finances & questions. He was 40 years young. He established a revocable living trust for his 15-year-old daughter many years earlier, but he was noted as the only trustee with no successor trustee named. This has led to much debate between his own family and the mother of his daughter as to who will oversee the trust given that his daughter is a minor. He had not updated his will in 12 years, a period over which his net worth grew significantly. Given the fact that his will had not been updated, there were no provisions made for his girlfriend of 7 years, who he intended on marrying. Better and more complete estate planning would have saved the estates of these young stars, millions in estate taxes. Better financial organization would have saved the families additional grief that comes with tracking down details and settling final accounts. Better financial organization and peace of mind are goals behind LegacyTracker. When better organization is in place; better and more complete planning can take place. This entry was posted in Advocacy, Consumers, Estate Planning, Final Wishes and tagged Emergency Preparedness, Estate Mistakes, estate planning, Get Organized, wealth management on March 16, 2015 by Brenda Potter Phelan.